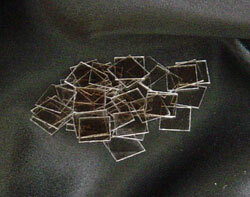 Unmodified AFM-grade mica is available in packages of 50 (1 cm x 1 cm) pieces. Custom sizes can often be accommodated. Please inquire regarding custom mica size availability. *The greater the thickness, the lower the dielectric strength per mil.